Mozambique Travel.com presents the best in adventure travel. Our Mozambique adventure holidays include fun escapades like kayaking through wild mangrove channels in the Quirimbas Archipelago, snorkelling with whale sharks in Tofu, sailing the deep blue oceans with daily boat trips to the Portuguese Islands, and, perhaps, showing your moves in a traditional tribal dance. Our adventure holidays are as pristine as they are wild. Drift down a serene estuary in a canoe, discover Mozambique on a slow sailing dhow, explore kaleidoscopic botanic gardens on foot with a birding expert. It is all there for you, something for everyone. 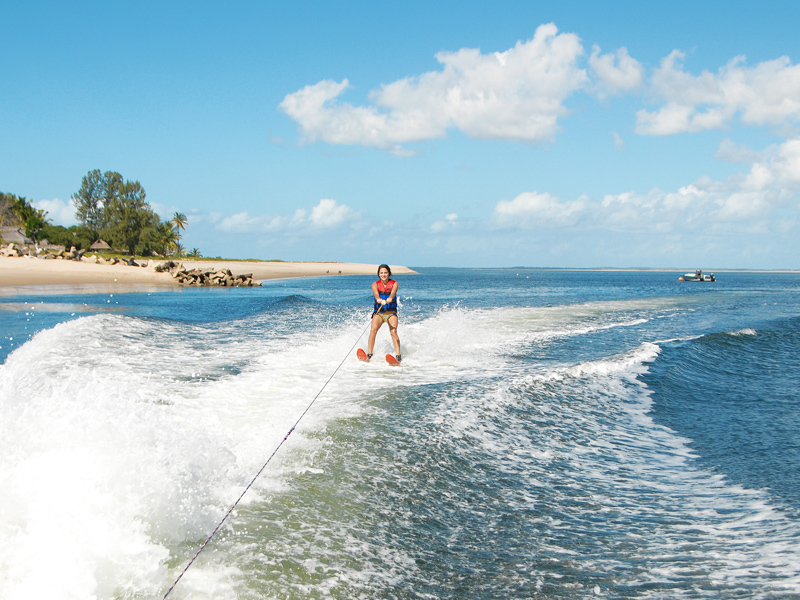 Mozambique Travel.com’s adventure holidays present something daring for everyone. Our itineraries are crafted to include the best aspects of Mozambique. Off the beaten trails south of Maputo are destinations and journeys ideal for 4 x 4 travellers who really want to chase the elephant trail. Big game fishing and Mozambique are almost synonymous with one another. Featuring plenty of available fishing spots, some almost untouched, Mozambique attracts big game fishermen from all ends of the world. For the nature baby, camping on uninhabited islands might just strike your fancy. Chat around a log fire at night, listening to the waves and picnic by day in a secret location. Mozambique Travel.com does present the best in adventure travel and offers the kind of not-to-be-missed adventure tours and trips you so often hear about. Island hopping dhow safaris, stand up paddle boarding, kite surfing, island drives, sand boarding and bird watching – these are just a few of the wonderful activities in store for you. Whether it is fishing in the south, surfing in the central regions or sharing cultural exchanges in the north, there is an African adventure holiday in every corner of Mozambique. You can combine the city life with the beach and the bush in Mozambique by starting your holiday in Maputo, for example, then heading out to Inhaca Island for a beach break before you drive into Maputo Elephant Reserve to see the amazing herds of elephants. Another way to do this is to start in Pemba town and port to see the wonderful beaches and try a new water sport, then drive into the interior to Gorongosa National Park or Niassa Wildlife Reserve. Simply beautiful destinations, all of these, escapes from reality – into nature’s perfection. At Mozambique Travel.com, our adventure itineraries can be custom made, where you are based at a fixed location like a resort or a lodge, and stay on that property for the duration of your vacation – activities are arranged within the vicinity of the property. Or, alternatively, we can arrange the ultimate African adventure holiday which includes island hopping safaris or week-long sea cruises. The choice, at the end of the day, is yours. Make your enquiry right now.